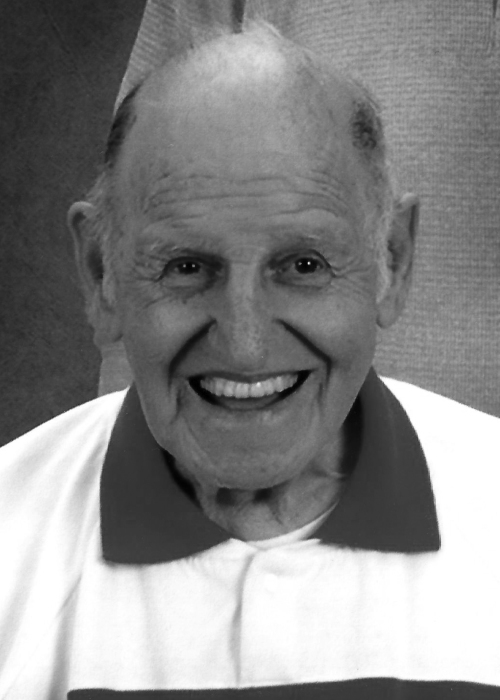 Marcelino "Cy" Sirgo, age 92 of Massillon, passed away Sunday, November 25, 2018 surrounded by his family. He was born May 14, 1926, in Clarksburg, WV, and was raised in Canton. He was the son of Marcelino and Basilisa (Sousa) Sirgo. Cy retired after 46 years of service from Mercy Medical Center. He also worked at Tiger Stadium in charge of Officials Hospitality. He was an umpire for Massillon Softball for 35 years. He was inducted into the Greater Canton Slo-Pitch Softball Hall of Fame in 2007. Cy is survived by wife of 70 years, Charlene (Reichel) Sirgo, son and daughter-in-law, Harold and Mary Sirgo; daughter and son-in-law, Kathleen and John Deily; seven grandchildren and twelve great-grandchildren. In addition to his parents he was preceded in death by brothers Joseph and Octavio Sirgo and sister Quervina Perez. Funeral service will be held on Thursday, November 29, 2018 at 1:30 P.M. at Heitger Funeral Home - Massillon Chapel with Fr. Thomas Cebula officiating. Calling hours will be held on Wednesday, November 28, 2018 from 5 to 8 P.M. at the funeral home. Burial to follow the service at Brookfield Cemetery.